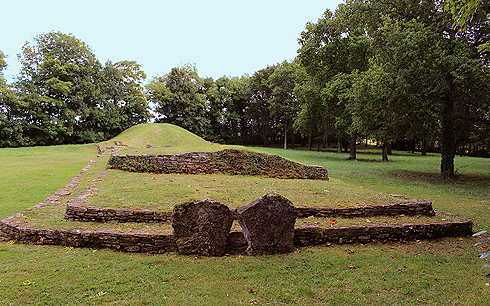 The Tumulus of Colombiers sur Seulles is the oldest and probably biggest Neolithic funerary monument still preserved in Normandy. The Tumulus dates from 4000 years BC and is constructed of earth and stones contained by a series of low walls in dry stones. Access to the funeral chamber was through a narrow corridor where the deceased were placed on the ground, in the foetal position. 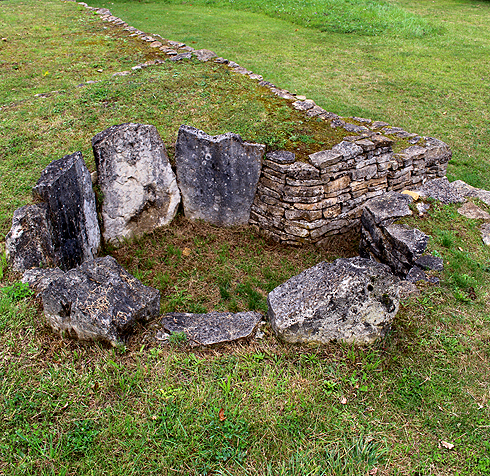 The entrance was usually left open and may have symbolized the link between the world of the living and the dead. 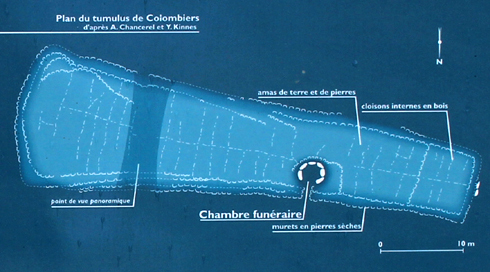 It was discovered in 1830 by Arcisse de Caumont, drawn out and then forgotten until the 1960s. 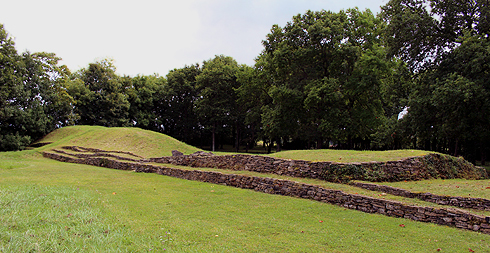 The Tumulus was partially restored from 1989 to 1997 and then in 1999 the General Council of Calvados bought it and handed it to the Department of Archeology. Now restored with some care it can be visited for free making it a good place to stop for lunch and relax in the calm space it occupies. This was the last major period of prehistory, and brings in the emergence of agriculture. Work in the fields and the domestication of animals led to human groups beginning to settle in defined areas that eventually start to become villages. 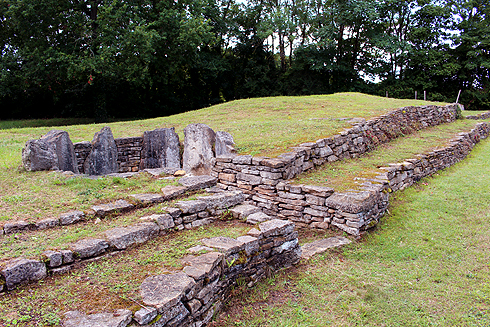 Stone is nearly always used to erect the monuments called megaliths among these, the Colombiers sur Seulles tumulus (or cairn) can be dated back to about 4000 BC, which makes it the oldest stone monument in Normandy. 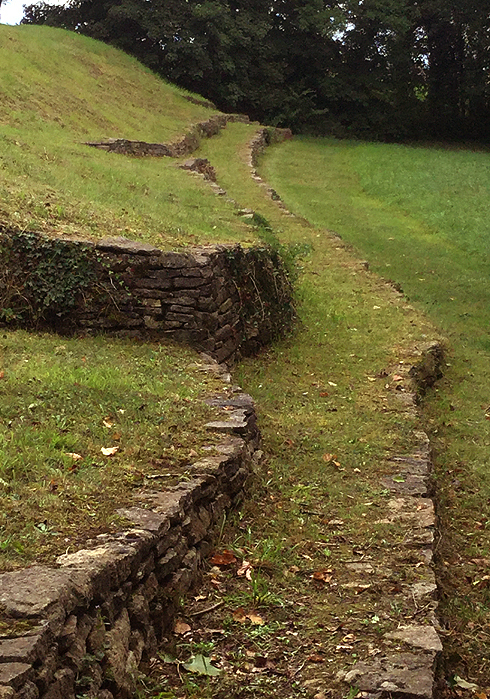 It consists of a mound of earth and stones enclosed by a series of dry stone walls. 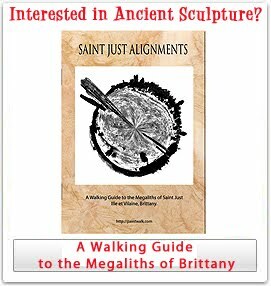 Localized in a strategic position, the monument appears to be a vital link between the human group and the cultivated territory. Its construction is the result of the collective work of the members of the community. 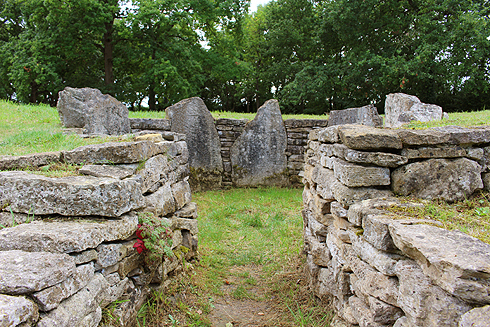 The long barrow also serves as a collective burial monument for certain members of the community, but the selection criteria remains unknown. The dead are successively laid down on the floor, in the foetal position. 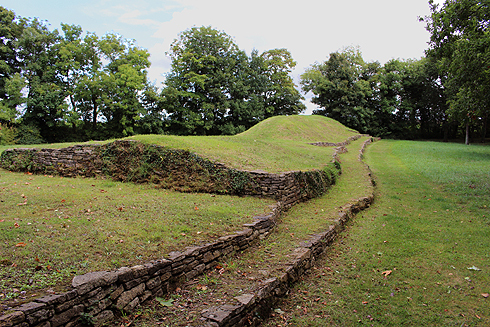 Access to the burial chamber, which occupies only a small part of the Tumulus, was through a narrow passage. This entrance, reopened many times, probably symbolized the link between the world of the living and the world of the dead.